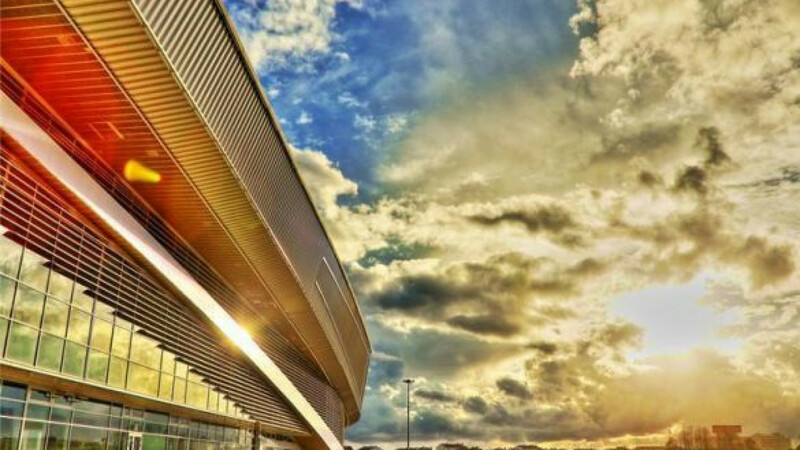 The Adler Arena in Sochi, where speed skating events will be held. The facilities for the 2014 Winter Olympics in Sochi are nearly ready and "everything is going according to plan," the president of Russia's Olympic Committee said Tuesday. "There were major sports competitions in practically all the sports facilities this year. Now the completion of construction on the Olympic village and central stadium is under way," committee president Alexander Zhukov told Itar-Tass. Organizers must now focus on "fine-tuning" and logistical issues, in particular, transportation and lodgings for the more than 2,000 organizing committee members and 27,000 volunteers who will run the event, Zhukov said. A paper on Russia's preparation for the games was presented at the 125th meeting of the International Olympic Committee, which is currently being held in Buenos Aires. Prime Minister Dmitry Medvedev said in August that the government could reimburse investors who recorded losses in the construction of Olympic venues if they finish their projects on time. Deputy Prime Minister Dmitry Kozak tried to tone down the suggestion, saying that the rewards for meeting deadlines should be moral, not material.